A friend tells Esteban that he’s been missing for days. Esteban ignores him and goes to his mother’s bar. There he chats with Cati. Merche, his mother, arrives leading a funeral procession. She slaps him and, straightaway, apologizes. She thought he was someone else. Esteban looks for his girlfriend at her job. Marta isn’t there, only her boss, who criticizes him for not attending the funeral of his grandfather. Esteban doesn’t understand what’s going on. 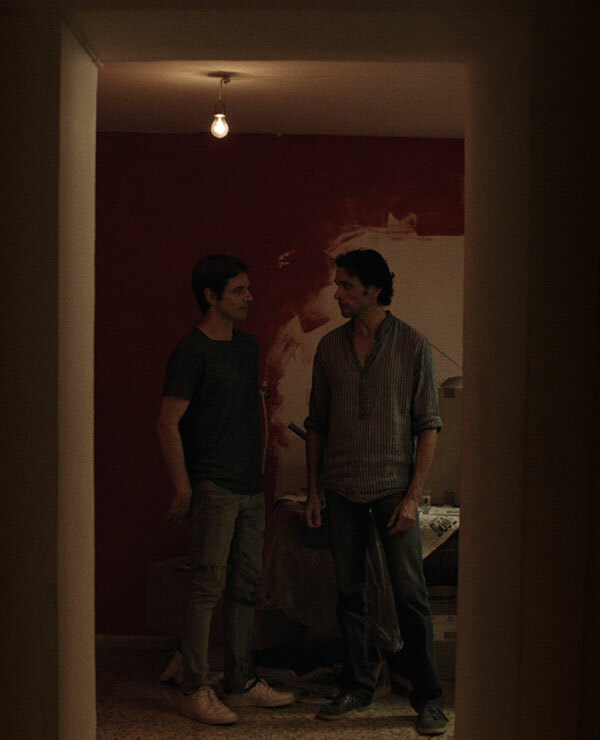 He returns to the bar to cast a light on this situation, but Merche maintains that he is not her son. The next morning, the police question him with a notable lack of interest. Esteban finally meets Marta. She doesn’t recognize him either and pays little attention to his pleas. Again at the bar, his mother opens up a bit. She is tired of looking for her son. Marta, with some regrets, invites him to a play. While taking her home, she tells him that she wants to leave the village. Days later Esteban visits the grave of his grandfather. Then he meets Marta and tries to talk about his feelings towards her. She insists that he isn’t Esteban. Afterwards the police arrest him without giving him any explanation. When he wakes up, the door of his cell is open. He gets out and finds his motorbike parked in front of the police station. Without thinking it over, Esteban drives away. He leaves the village. Suddenly the police start pursuing him.